The exuberant posters of Parisian nightlife that French artist Jules Chéret began producing in the 1860s helped launch an international poster craze in the late nineteenth century. 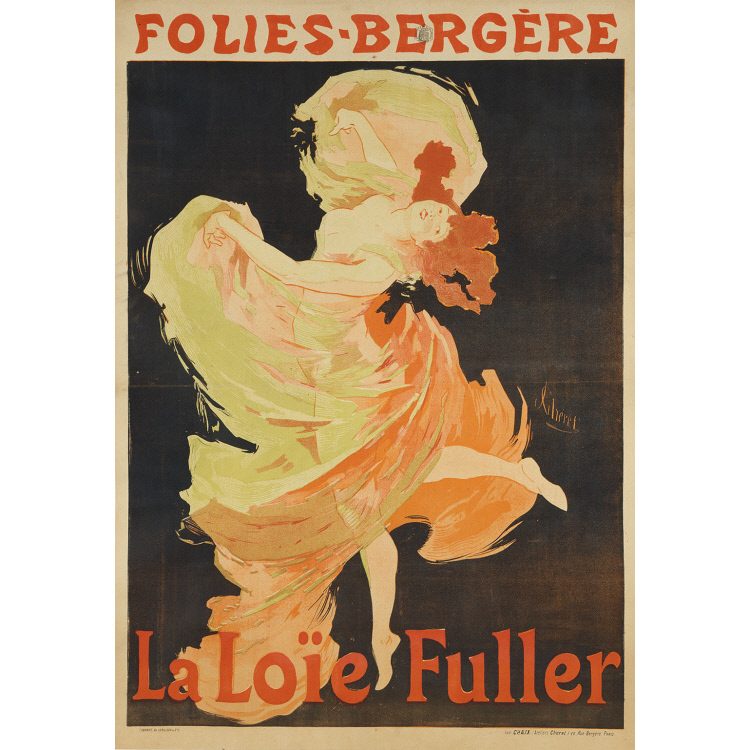 Chéret was known for his brilliant colors-described by one critic as "a hooray of reds, a hallelujah of yellows and a primal scream of blues"-but the effects of his 1893 poster of American dancer Loïe Fuller were actually inspired by her own performance. The former Mary Louise Fuller of Fullersburg, Illinois, was the sensation of Paris at the time. Against a black velvet background, she focused changing colored lights on her voluminous costumes of iridescent silk, creating a magical effect of swirling color and light. In this poster, the fiery colors, spiraled pose, and jagged contours enhance the sense of movement, and the laughing, turning figure seems momentarily suspended in time and space.